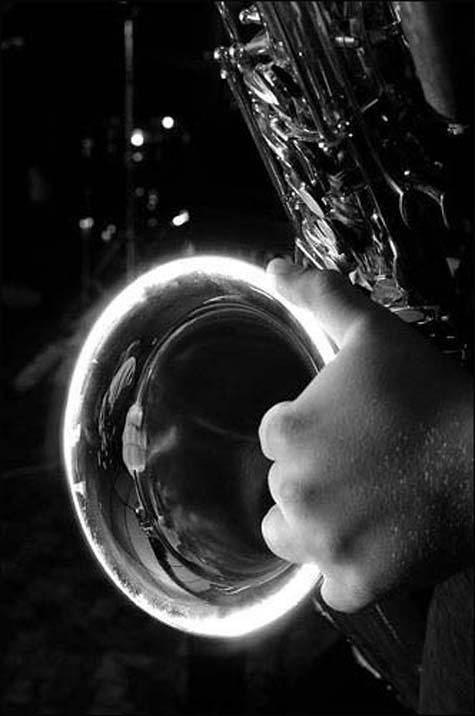 Rzized03: Natalie's Jazz Lounge: Peter Tobia, photographer, photojournalist. B.J. Jansen waits for his solo to come 'round. "This is one place you will never find in the guidebooks," said Patrick Pinon, a French painter in town visiting a friend.